Success! Branton from Kenya raised $1,500 to fund brain surgery. Branton's treatment was fully funded on May 28, 2018. Branton had a very successful surgery to excise the tumor. The surgery has prevented the risk of brain damage, loss of vision, and delayed milestones. “We appreciate your organization and all that you do to help others. I was afraid of losing my son. Thank you again for giving him life,” says Branton’s mother. Branton is a toddler from Kenya. He has one sibling. His mother is a stay-at-home mother, and his father is a taxi driver. Branton was born healthy, but when he was one year old, his mother noticed an abnormal growth on his head. A few weeks ago, Branton was diagnosed with a brain tumor. The family was referred to our medical partner’s care center, where an MRI was performed and surgery was recommended. If not treated, Branton is at a risk of losing vision and suffering brain damage. Fortunately, he is now scheduled to undergo surgery on May 9. His family needs help raising $1,500 to fund the procedure. “These are the worst news one could ever receive. We are optimistic though and hope for the best,” shares Branton’s mother. Branton's case was submitted by Joan Kadagaya at African Mission Healthcare Foundation in Kenya. 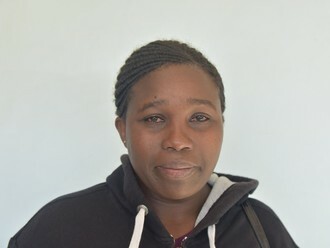 Branton was submitted by Joan Kadagaya, Curative Medical Support Program-Partner Representative at African Mission Healthcare Foundation, our medical partner in Kenya. Branton received treatment at BethanyKids Kijabe Hospital (BKKH). Medical partners often provide care to patients accepted by Watsi before those patients are fully funded, operating under the guarantee that the cost of care will be paid for by donors. Branton's profile was published to start raising funds. Branton's treatment was fully funded. Branton's treatment was successful. Read the update.